The Duke Chapel Choir sings at worship services during the school year, often encircling the congregation during the introit and the benediction. 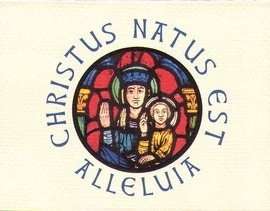 We have produced our own Christmas cards for over fifty years. For the first 46 years, we used serigraphy (silk-screening) as the method, printing the cards in our garage. More recently, we have used our home computer and an ink-jet printer. Some years we have produced a visual program with music, based on the printed card. Our Powerpoint greeting for 2013 features the music of our Associate Director of the Duke Chapel Choir, Brian Schmidt and is based on our printed Christmas card for this year. 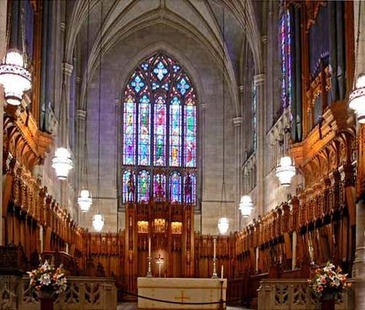 The nave of Duke Chapel seats about 2000 worshipers, while the choir area is marked by ornate wood and stone carving, as well as the Aeolean Organ, installed in the 1930s. 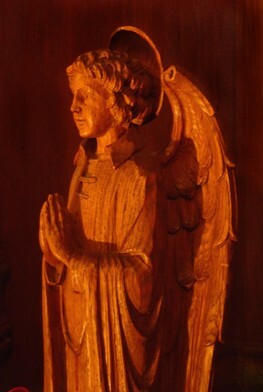 The Chapel Choir also sings Handel's "Messiah" three times before Christmas, and performs an oratorio or requiem during the spring semester. To see an abridged version of the choir's 1997 China Tour video, click on this picture. 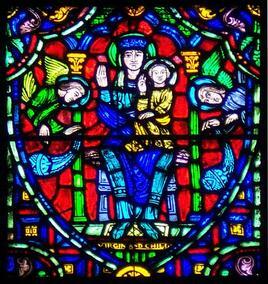 The Madonna and Child window in the west aisle of the Duke chapel provided the graphics for the cover of our Christmas card in 2008. Click on the card for more information. To see pictures from the choir's trip to Spain in 2007, click on this picture.